"Fight in these online modern robot wars"
Game Goal: You have to control combat robots fighting on a team of 6 against other robots on a battlefield in 3D; the goal is to conquer as many as you can in as many levels as possible. How to Play: As you play, you get money with which to buy better robots and upgrade weapons and power that you can then use with strategy in different levels. Game play: There are several points to win in each level to play, as well as a team of online users worldwide. Languages: Interface is in English, Spanish, Italian, French, Portuguese, German, Chinese, Russian and Japanese. 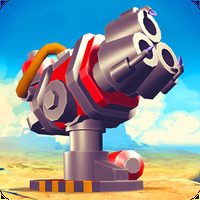 Developer: Pixonic LLC is based in Russia	- Developer recommended by Android Market. 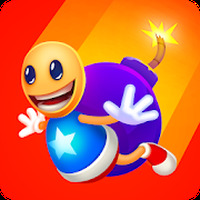 Ranking: The TOP 5 Most downloaded games in Battle Games category. It has quality graphics and sound. You can make a team with worldwide users. There are many different weapons and robots. Combines action and strategy equally. They are missing more scenes. 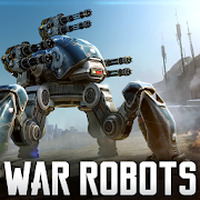 Do you like War Robots?